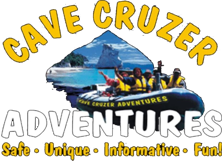 This scenic cruise was the perfect way to explore the beautiful coastline, the coves & blowholes in the area. Being a small boat, the skipper was able to tailor our trip to what those on board were interested in (including snorkelling opportunities). He has a wealth of knowledge & was also able to go into areas the larger boats couldn’t, so we had some additional opportunities to see areas you normally couldn’t get to.